This is a simple card game I made for a game jam. The theme was "What if I broke the rules" You have the option to cheat in this game but the AI may catch you if you do. First you choose one card to play as a front. Then you must send a card to a player to your right matching their front. The AI won't know what card you put down but it may challenge it. If the AI challenges it the card will checked. If it matches the front you get a point otherwise the the challenger gets a point. The rest of the AI will send their own cards to the right and then you may challenge them. The AI will also challenge other AI. 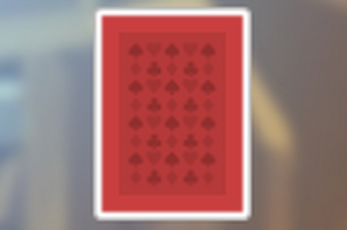 The King of hearts and the Queen of hearts are your cheat cards. They are not a part of the normal deck. So if you use them there may be multiples in play. You can use them at any time to cheat but your score will be reduced to 0 if you are caught cheating. I used artwork done by Kenney and Lauren Ellis.